April 14 in Washington, DC, including Matter of the Year for the GlaxoSmithKline/Novartis/Eli Lilly three-part deal; Litigation of the Year – Non-Cartel Defense for The Apple iPod/iTunes Antitrust Litigation; and Behavioral Matter of the Year – Europe for the Samsung SEP settlement. 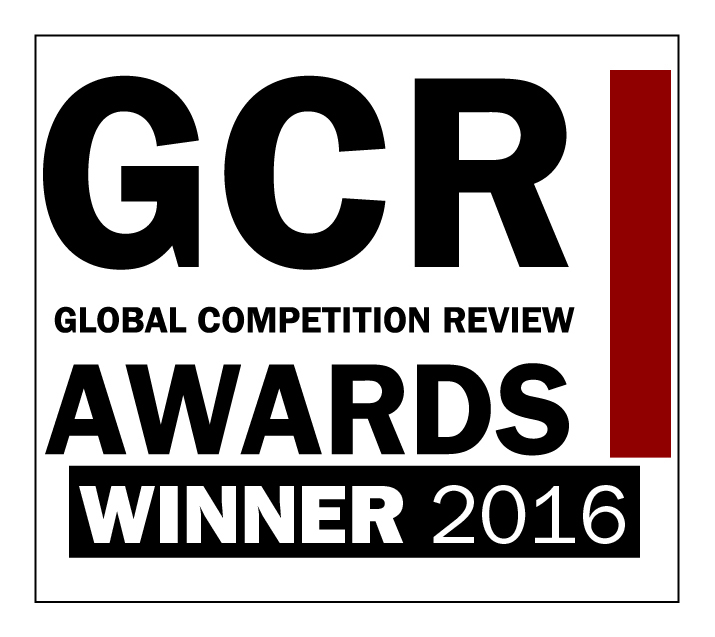 More than 3,000 Global Competition Review readers cast their votes, honoring outstanding individuals and teams in areas of competition law and economics around the world. CRA economists advised Linklaters and Freshfields Bruckhaus Deringer, counsel to Novartis, throughout a three-part, $23 billion merger with GSK. Led by Cristina Caffarra in Europe and Gary Roberts in the US, CRA provided economic advice and support to Novartis throughout reviews by the European Commission (EC) and Federal Trade Commission (FTC). For oncology in particular, CRA’s analyses showed that certain drugs were not close substitutes and that their combination would therefore not lead to anticompetitive effects. Subject to the divestment of a pipeline combining two skin cancer drugs, the EC determined the transaction would not adversely affect innovation and the development of new oncology drugs. In January, the EC conditionally cleared the acquisition by Novartis of GSK’s oncology business, the sale of Novartis’ vaccine business (except influenza) to GSK, and a joint venture between Novartis and GSK for consumer health products. CRA also advised Novartis for the sale of its animal health business to Eli Lilly, which was cleared in Phase I by the EC in October 2014, and approved by the FTC in February. In the US, the FTC required the same concessions relating to oncology products before approving the joint venture. CRA’s European team also included Raphaël De Coninck and Hristina Dantcheva. In the US, the team included Yianis Sarafidis and Archan Ruparel. Professors Kevin M. Murphy and Robert Topel advised counsel to Apple, Jones Day, throughout this long-running case which dates to 2005. Murphy and Topel advised Boies, Schiller & Flexner at trial and testified on economic issues and competitive effects. The matter involved a software upgrade to the iPod system, which plaintiffs alleged gave Apple an unfair advantage over competitors. On December 16, 2014, after three hours of deliberation, a jury in the US District Court for the Northern District of California found the Apple software upgrade was innovative and did not harm consumers. A key point at trial was whether certain features of Apple’s iTunes 7.0 update unfairly prevented users with competitors’ devices from gaining access to the iTunes library. Professor Murphy’s testimony addressed the competitive issues of an open versus an integrated system (iPod, iTunes and the Apple Store), which is designed to improve the user experience and ultimately benefit consumers. Professor Topel testified on the econometric analysis of impact and damages put forward by the plaintiffs, noting the impossibility of separating the challenged iTunes 7.0 features from other iPod and iTunes enhancements that improved the overall user experience. CRA’s team also included Anita Garten, Ricardo Cossa, and Mensur Muhamedagic. CRA economists advised counsel to Samsung (Peter Camesasca, Allen & Overy, Clifford Chance and Sherman & Sterling), throughout an investigation by the European Commission of potential abuse of dominance. At issue was whether Samsung’s use of injunctive relief actions before the courts was a breach of the covenant to allow rivals, who sign up to a specified licensing framework, access to standard essential patents (SEP) for smartphones and tablets. CRA advised Samsung throughout the investigation which began in January 2012. Following a decision by the EC in April 2014, Samsung has committed to not seek SEP injunctions in Europe for five years and to negotiate or arbitrate to resolve disputes. Cristina Caffarra and Damien Neven led the CRA team who advised Samsung.